For the Brexit referendum (officially the ‘United Kingdom European Union membership referendum’)I created a cartogram. 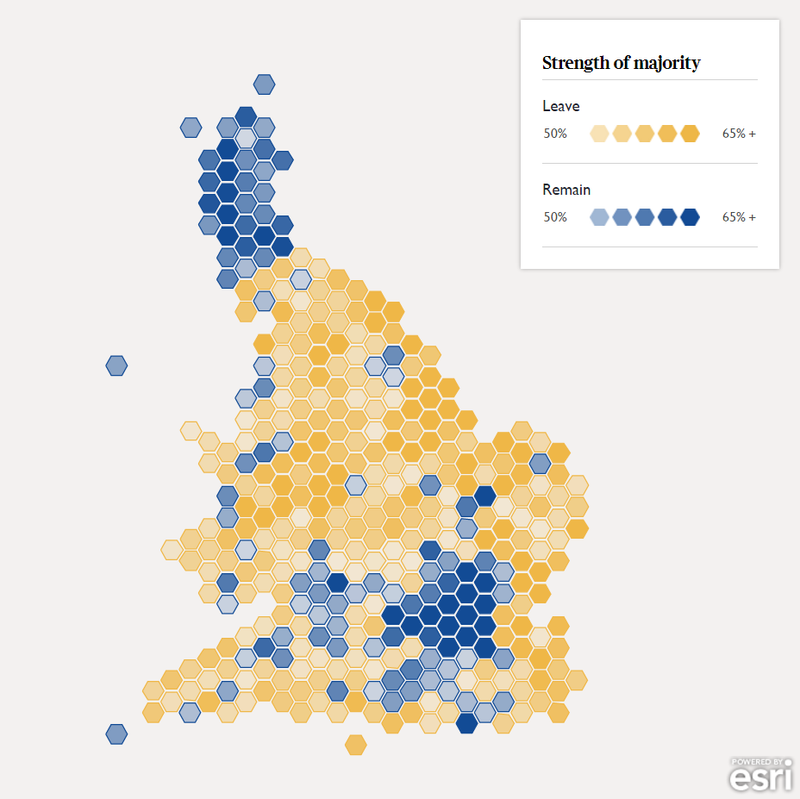 Cartograms are useful as they prioritise electoral importance over geographic accuracy. Unlike General Elections, the Brexit referendum votes were reported by Local Authorities rather than Parliamentary Constituencies. The United Kingdom voted to leave the European Union, by 51.9% for Leave, and 48.1% for Remain. My cartogram featured at the heart of The Times referendum coverage and provided readers with the latest results and analysis. Cartograms aren’t the easiest of things to create and as such, I have made my Local Authority Hex Cartogram available for download as an Esri Shapefile. You can download if from here and enrich with your own data!